Hail is one of the worst things that can ever fall on your roof. Unlike snow, hailstones are tough and hit the surface of your roof at very high speeds. Hail doesn’t freely flow down the gutter like rainwater does. Knowing the dangers presented by this natural phenomenon is important to understand why you should prepare for emergency roof repair after a hailstorm. Hailstorms are often accompanied by strong winds. Depending on the size of hailstones and the speed and direction of the wind, hailstones can cause dents or, in extreme cases, punch holes through your roof. Impact damage caused by hailstorms can easily weaken the surface of your roof, leaving your home vulnerable to other weather elements. Hail damage can either be relatively harmless or very dangerous, depending on the type of roof you have on your home. Hail damage roof repair specialists say that metal roofing is more resistant to hail damage, while thin asphalt shingles can have random pockets of dents all over. Brittle materials such as wood shakes may suffer something as severe as splits in the shingles caused by strong hail impact. There’s no telling when a hailstorm will start pelting ice on your roof, but there are plenty of ways to minimize hail damage. Staying updated with weather reports can give you ample time to prepare your roof if you suspect that there is a chance of hailstorms happening in your area. Some foresight in choosing your roof’s design can also make the difference between light and severe hailstorm damage, since steep-sloped roofs have a better chance of deflecting hailstones. If your roof survived a recent hailstorm it doesn’t guarantee it will remain unscathed after the next one. You should always consider calling a reputable roofing company to have your roof checked for signs of damage. Our hail damage specialists can provide a more accurate assessment of how your roof fared against the last hailstorm to give you a chance to prepare for the next. Always be prepared to deal with hail storms. 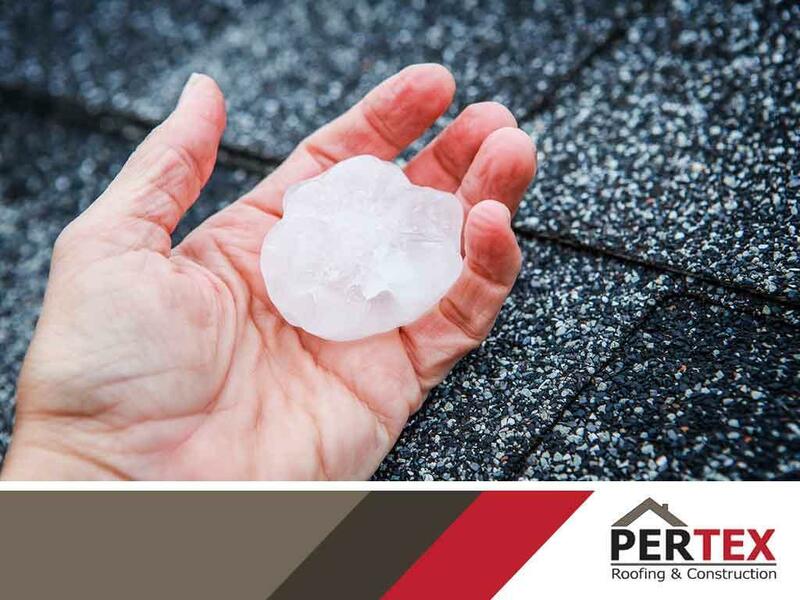 Pertex Roofing and Construction, LLC is a leading provider of hailstorm damage repair solutions in Plano, TX. You can reach us at (214) 473-5888 or fill out our contact form to request a free estimate.